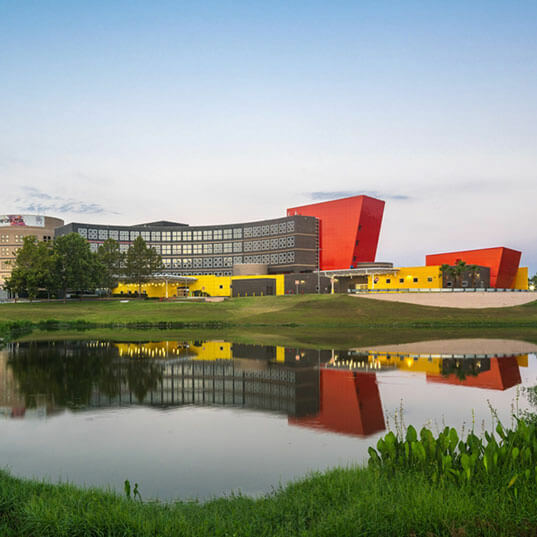 Our medical facility planning incorporates the latest evidence-based design research to create environments that optimize utility and visibility for caregivers while improving patient experiences that promote recovery and healing. 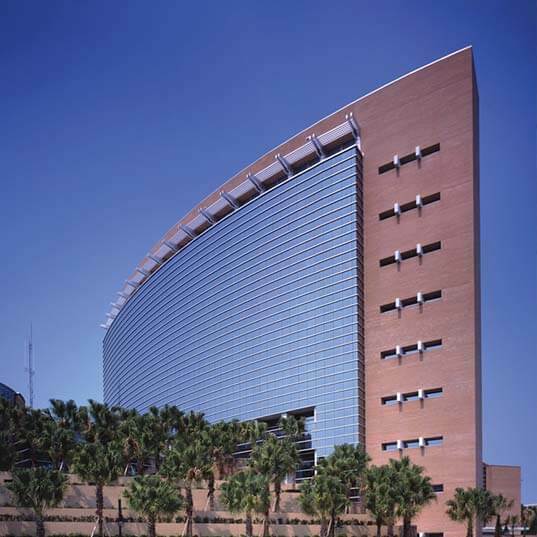 The UF Health Cancer Center Orlando (formerly the MD Anderson Center Orlando) combines inpatient and outpatient treatment with research and education in a 10-story tower addition. 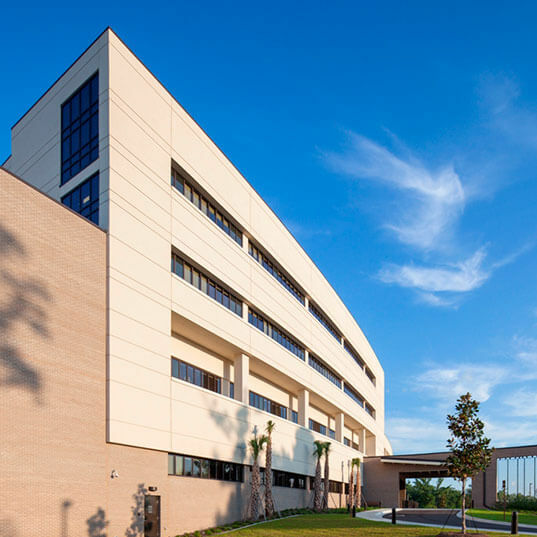 A 5-story expansion and addition that increased the hospital’s inpatient and emergency department capacity, and helps staff provide better, on-demand care. The 4-story tower addition provides 48 inpatient rooms on 2 floors, above a 16-room critical care unit, a surgical department expansion with recovery, physical therapy treatment, and a new 18-bed emergency department. 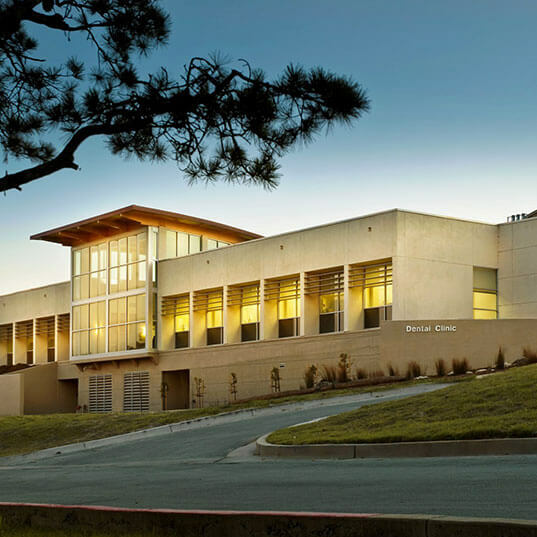 The 2-story stucco and glass dental clinic rests on a concrete base partially embedded in the hillside overlooking the Monterey Bay. 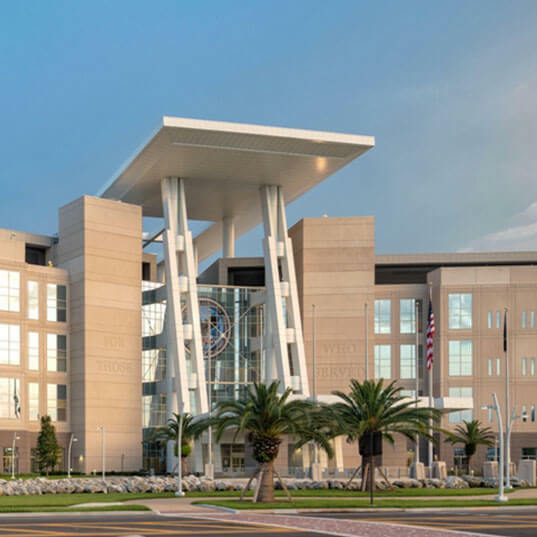 Lake Nona’s VA Medical Center provides a full spectrum of inpatient and outpatient services to veterans while emphasizing clinical efficiencies, integrated technologies, and patient/family amenities.